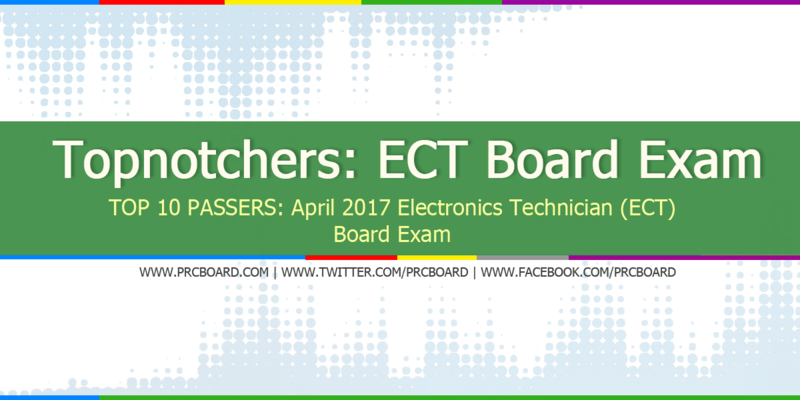 The April 2017 Electronics Technician (ECT) board exam results, conducted by PRC’s Board of Electronics Engineering are released three (3) working days after the last day of board examination. Aside from the official list of passers, top 10 examinees, top performing schools and performance of schools are also posted. Joseph Alexander Philip Zaldarriaga Lacson from University of Saint La Salle and Joshua Maurice Fabillar Plameras from Mapua Institute of Technology - Manila topped the exams garnering 92.00% rating. Below is complete list of ECT top examinees courtesy of PRC. 5 pm to 10 pm daw po, hintay hintay nalang tayo. GOD BLESS po sa lahat.